It’s here! The Self Directed Support Act is now live. On Tuesday 1st April the Social Care (Self Directed Support) (Scotland) Act came into force. This Act, which introduces new legislation for people accessing care and support services in Scotland, was officially launched at a national event hosted by Lothian Centre for Inclusive Living in partnership with the Scottish Government. This landmark piece of legislation requires councils to offer people a range of options for how their social care is delivered. A direct payment - you will be given your individual budget to make your own arrangements. You can do this with or without assistance. Choose a care or support organisation and the council will arrange it. You then work with the care or support organisation to plan your support. The council holds your budget and arranges your service. Your support will be arranged by your care manager who will have talked with you about your wishes and preferences. Midlothian’s Self Directed Support Programme Board is now complete. Public and Carer Representatives appointed to Self Directed Support Programme Board. Congratulations to our new Self Directed Support Programme Board user and carer representatives. Jeff Adamson (public member), Douglas Hendry (carer member), Isabell Lilley (depute public member) and Ruth Forbes (depute carer member) will ensure that people who use social care services and their carers are at the heart of implementing Self Directed Support in Midlothian. To review the work of the Programme Board to support delivery of the Project Plan and the implementation of Self Directed Support. To advocate for wider service user/ carer involvement as appropriate. To make sure the outcomes of user/carer involvement are considered in decision-making. Make sure that the impact of services on the lives of users and carers (their personal outcomes) is regularly part of discussions. Provide a link between recognised user and carer groups and the Programme Board. SDS will be available initially for new clients from April 2014. Existing clients will be offered it through annual reviews. Have more choice and flexibility. Choose services to suit improve your lifestyle. Would you like to join Midlothian’s Self Directed support Reference Group? We are currently planning how self directed support will work in Midlothian and want to make sure it is informed by the views of people living in Midlothian using social care services. The reference group is a group of people who use social care services of care for someone using social care services, who can advise how Self Directed Support should work in Midlothian. It is an opportunity for you to influence the decisions being made about Self Directed Support and to ensure that it is shaped around People’s needs and views. What will the group discuss? What is the time commitment and where is the venue the meeting will be held? Meetings will be held every 4-8 weeks. Each meeting will last about 1½ hours. The group meeting will be held at a venue in Midlothian to suit participants. Do You need any special qualifications to be part of the Reference group? No special qualifications are required. You will require an interest in the decisions being made and be willing to voice your opinions as someone with knowledge of social care services in Midlothian. What support is available to enable you to attend? If you require support for the person you care for, or help with transport, please contact us so we can discuss your individual needs and support and where possible help you to attend. How do you get involved ? If you’re planning to go on holiday this year and haven’t booked anywhere yet time is marching on and it’s getting near that time when your options are starting to become limited. Especially so if you, like me, are looking for fully accessible, no hassle accommodation. These hotels/properties tend to be snapped up fairly quickly and if you don’t get in quick enough you could be in for a disappointment. Of course, choosing somewhere suitable isn’t the easiest of tasks. How many times have you arrived at your ‘accessible’ holiday accommodation to find that a brochure’s or Internet’s adverts definition of accessible does not match yours? It may be accessible if your wheelchair can wade through 6 inches of gravel to get to the front door or it may be accessible if you’re wheelchair is the size of a small child’s buggy and you can manoeuvre through the narrow doorways and around the many pieces of furniture. And please, don’t get me started about ‘accessible’ toilets and showers. I’m sure every disabled person has a story to tell about their accessible holiday home disasters. Brochures can paint a rosy picture but nothing can beat the testament of a disabled person who has actually stayed in the property. So, if you have any suggestions for accessible holiday destinations, home or abroad, please send them into us at Forward Mid and we’ll publish them in our next newsletter. Whether it be a lengthy piece or just a couple of paragraphs your recommendation could solve someone’s holiday dilemma and save them from any potential access disasters. To start the ball rolling here’s a self catering holiday home I can fully recommend - we’ve been going there for the last 6 years for a short break so it can’t be bad. The Chair relaxes in the Croft’s garden with a glass or two of wine. Having visited the Croft every year for the last seven years and being a tetraplegic wheelchair user I think I am fully qualified to comment on the accessibility of this particular holiday home. The entrance to the Croft is a smooth wheel from the private drive, along the garden path and up a gentle ramp. Once inside, surprise, surprise, it is ‘wheel chair friendly’ with plenty of space in each room to manoeuvre your chair about. Especially so in the lounge/diner, where even the worst wheelchair operator, I include myself in this category, can avoid bumping into furniture. The Croft has two bedrooms; a master with a double bed and a second with two single beds. There is also a bed settee in the lounge which sleeps two. Leading of this room is an accessible kitchen which has a low-level electric cooker. As for the bath/shower room/toilet - it must be one of the most spacious I’ve come across in holiday accommodation. You could easily get three wheelchair users in there at the same time. What you would do when everyone is in I shudder to think but the opportunity is there. I can safely say that, if you are a wheelchair user or have mobility problems you will not have any difficulties with accessibility issues in the Croft. Left: View of the River Lune from the Riverside Walk. Beside the shops is an entrance to the Riverside. Going outside, through the garden, along the driveway, you pass an old oak tree (no yellow ribbon attached) which is mentioned in the Domesday Book and is the emblem of Caton. Opposite the tree is a 17th-century inn, The Ship, which is exactly 1 minutes wheel, in a powerchair, from the Croft’s front door. Another four minutes away is the centre of Caton which boasts a Co-op, a Post Office and a butcher amongst its shops (as well as another pub, The Station). No long drives to find somewhere to eat and drink or to buy a newspaper or a print of milk as is often the case with accessible holiday accommodation. Beside the shops is an entrance to the Riverside Walk which follows the course of the River Lune from Caton to Lancaster over 3 miles away. This walkway, an old railway line, has a tarmac surface which is ideal for wheelchair users, no bumps or steep slopes. As well as great views of the Lune, keep an eye out for the pieces of sculpture dotted along the walk. Caton is an ideal base to explore all that Lancaster has to offer; the city of Lancaster itself, the west coast seaside towns and the wonderful countryside surrounding it; the Lune Valley and the Forest of Bowland. The Croft has two rental rates - Winter = £70 per night or £350 per week. Summer = £75 per night or £450 per week. This is for the whole apartment, not per person. It is open all year round, including Christmas and New Year. Well-behaved pets are welcome at no extra cost. Should you wish to visit The Croft you can be sure of a warm welcome, a fully accessible holiday home and lots to see and do in the surrounding area. Wherever you choose to go on holiday I hope you enjoy it as much is the holidays we’ve had here. Benefits advice and Debt advice funded by SLAB. Wednesday 10:00 to 1:00 MAEDT 12 Bogwood Court Mayfield. The Dalkeith and District Citizens Advice Bureau is located in a listed building that has a stepped entrance, wheelchair access is not possible, The Dalkeith and District Citizens Advice Bureau will visit wheelchair users in another location. A new group for people struggling with Welfare Reform changes. This group aims to support those experiencing difficulty with Welfare Reform. It’s about disabled people helping and learning from each other. Stuart , Morag - Local Area Co-ordinators. The current welfare reform programme being implemented by the UK government has already resulted in some of Midlothian’s poorest residents having a reduction in their income, for example those effected by the so called "Bedroom Tax". As more changes to the benefit system are rolled out over the coming year more people are likely to find themselves in crisis and requiring immediate support just to access resources to meet their essential daily living costs. The following information about what sources of help are available and local services which are able to offer a crisis response to individuals and families that the welfare system has let down, and left at risk, without the resources they require to meet their essential needs. Crisis Grants which in Scotland are managed by local authorities on behalf of the Scottish Government, through a new scheme called the Scottish Welfare Fund. Crisis Grants provide a safety net in the event of a disaster or emergency for people who are usually in receipt of or eligible for income based benefits such as Universal Credit, Job Seekers Allowance, Employment Support Allowance or Income Support. Anyone can apply for a crisis grant if they have no money and need help to cover immediate essential daily living costs such as food, non-food household items like washing powder, toiletries etc., or gas and electric if they have a prepayment meter. Crisis Grants for food are normally paid in the form of vouchers which can only be redeemed in exchange for food at certain local food stores. Up to a maximum of three crisis grants may be awarded to an individual within any 12 month period, although if they have a partner, both of them may be eligible for up to three crisis grants each. Applications for crisis grants can be submitted by phone Tel: 0131 270 5600. Midlothian council aim to process applications for Crisis grants within two working days and the person applying will receive a phone call to notify them of the decision and if successful they will be able to collect their grant from council offices in Dalkeith or Penicuik. Crisis Grants are not normally awarded to people who are currently on a benefit "Sanction" imposed by the job centre. The Scottish Welfare Fund also manages community care grants which help people to leave care and live on their own, or to continue living in their own home. For instance by providing furniture and essential household items like a cooker for someone moving into their own home after a period of living in a hospital, care home, hostel or prison setting. In certain circumstances a Community Care Grant can provide money for clothing, for instance, to someone leaving prison or fleeing domestic violence. 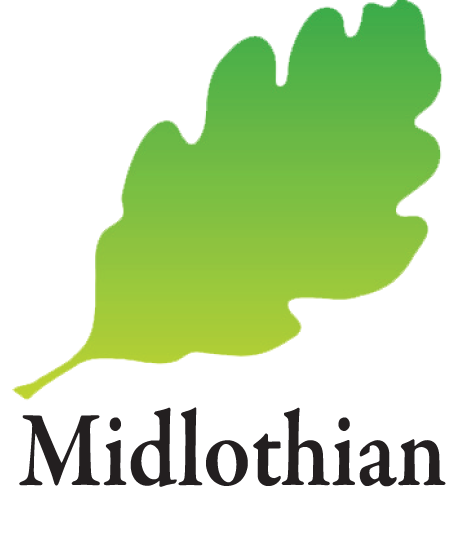 Midlothian Council Aim to process applications for Community Care Grants within 15 working days. If someone is not eligible for a crisis grant, or if they have already had the maximum of three crisis grants this year, but they are experiencing severe hardship, they may be able to get other financial help from Midlothian Council. Local Authorities have a statutory duty to support vulnerable individuals and "children in need" if there is an emergency and operate discretionary payments for such. Local authorities also have a duty of care for ‘children in need’. In exceptional emergency situations the local authority can provide discretionary cash payments under Section 22 of the Children (Scotland) Act 1995 to help promote the needs of the child if help is unable to be provided in some other way. The cash payments may take the form of those listed above for Section 12 Payments and can be paid to families with children in need, including to families with disabled children. Discretionary Housing Payments is a fund administered by Housing Benefit Section of the Revenues Department at Midlothian Council and are awarded to applicants who require additional assistance (on top of other welfare benefits) to meet their housing costs, for example individuals or families affected by the "Bedroom Tax". What counts as a housing cost? Who qualifies for a DHP? Applicants who are in receipt of Housing Benefit (HB) or Universal Credit (UC) that includes a housing element, and whose income does not cover their housing costs. What kind of shortfalls can a DHP cover? DHPs can also be used to cover rent deposits and rent in advance, but DHPs can only be made to applicants who are already in receipt of Housing Benefit. What payments can DHP not cover? They have claimed a benefit and the claim has yet to be decided, but they will only be entitled to the advance if the DWP decides they are likely to receive the benefit. They have been awarded a benefit but have not received the first payment yet. An increase in benefit is awaited, e.g. for a new partner. To receive an advance payment they need to be able to show they are in financial need, which is defined as a serious risk of damage to health or safety of the claimant or family member. Short term benefit advances have to be repaid usually within a three month period. A hardship payment is a reduced amount of income based Job Seekers Allowance (JSA) which someone may be able to get if their JSA is stopped due to doubts about their availability to look for work or if they are on a JSA Sanction. If they qualify for a Hardship payment it is normally paid at 60% of their usual benefit rate, or 80% if they or their partner are seriously ill or pregnant. Hardship payments are also available to ESA claimants. To receive a hardship payment they must be able to prove that without it they could be in danger of going without essentials such as food or warmth or are at risk of losing their home. A budgeting loan is an interest free loan intended to help spread the cost of certain one off expenses over a longer period. A Budgeting Loan can help towards the cost of various items for example, things needed for or to improve the home, clothing and footwear, travelling expenses and certain debts. Once an application is submitted a decision is usually available within one week. Budgeting loans are available to people getting Income Support, income-based Jobseeker’s Allowance, Employment and Support Allowance (income-related), Pension Guarantee Credit, or payment on account of 1 of them for at least 26 weeks. Budgeting Loans have to be repaid. To make enquiries about a budgeting loan tel: 0843 515 8360 or application forms are available from the local Job Centre or can be downloaded from: www.gov.uk/government/publications/budgeting-loan-claim-form (When Universal Credit is introduced Budgeting Loans will be replaced by Budgeting Advances which will work in a similar way to Budgeting Loans). Budgeting Loans range from a Minimum of £100 to a Maximum of £1500. The Social Fund also administers Winter Fuel payments for older people on Pension Credit and Cold Weather Payments (£25 paid in arrears, for any seven day period when the local temperature is on average 0oC or below) for certain eligible working-age people on income based JSA, ESA or income support. Other Grants or payments available via the Social Fund include Sure Start Maternity Grants (Up to £500) for new mothers on certain benefits and funeral payments (Up to £700) for bereaved partners or parents who are on income-related benefits and need financial help to organise a funeral. (To find out about other bereavement benefits, including a one off tax free payment of £2000 available if your spouse or civil partner were paying National Insurance Contributions when they die, contact the DWP Bereavement service Tel: 0845 606 0265). Some Utility companies and Energy Suppliers have formed Charitable Trusts that can provide financial help to their customers who are experiencing financial hardship and are having problems paying their energy bills and have arrears. The Welfare Rights officers provide Midlothian residents with advice advocacy and oral representation at all Social Security Tribunals. They represent at 1st Tier and 2nd Tier Tribunals and ensure Midlothian residents receive free impartial advice. They can advice and provide tribunal representation for all welfare benefit appeals for example DLA and ESA. What can someone do if they are sanctioned? If a JSA claimant receives a letter from the DWP advising that they have been referred by their work programme provider for a benefit Sanction, due to failure to attend or participate, they have seven days to contact the DWP to provide a "good reason" as to why they did not attend or participate, before the sanction is applied by a DWP decision-maker. When similar sanctions are applied by the Job Centre (including for providing insufficient evidence of job search activity), the letter is issued during an interview with a job adviser who asks the claimant for their comments before referring them to the decision-maker, and this is their opportunity to provide "good reasons" why they believe they should not be sanctioned. Once a sanction has been applied by the decision maker, the claimant can ask for a mandatory reconsideration of the decision. They can dispute both the application of the sanction and its length. They must ask for a reconsideration within one month of the date of the decision unless they have good cause for lateness. Once they receive a new decision, if they are still not happy with it they have a month from the date of the new decision in which to appeal against it. Their appeal will be heard by an independent tribunal. Whether or not they appeal, they might find themselves in hardship because of the sanction. In this situation, if the sanction is made on a claim to JSA, ESA or UC, they may be able to apply for hardship payments. Hardship payments are reduced rate payments of JSA, ESA and UC, and as the name suggests they are designed to alleviate hardship. They are administered by the DWP, so they need to contact Jobcentre to apply for a hardship payment. The amount of hardship payments varies, as does eligibility for them: for some benefits, in some circumstances, a person must be in a ‘vulnerable group’ to be eligible for a hardship payment; in other circumstances anyone can apply as long as they prove they are suffering hardship. If someone who is sanctioned is claiming Housing Benefit or council tax reduction the DWP will notify the Benefit and Revenues Section at Midlothian Council that their benefit is stopped, so they need to contact the Council Revenues section as soon as possible to provide evidence that they have no other income to ensure their housing benefit or council tax reduction is not also withdrawn. Benefit claimants are sanctioned they should seek advice immediately, either from the Citizen Advice Bureau or another welfare rights advice service, and take copies of all their notes and correspondence to the advisor. Their advisor will want to discuss the events leading up to the sanction in detail, in order to work out whether, for example, they might have had ‘good reason’ for failure to meet the work related requirement. If they are suffering hardship because of the sanction, their adviser can also assist them to make a claim for hardship payments. The National Debtline can give free information to people living in England, Wales and Scotland. It also provides an information pack on dealing with debt. The line is available on Monday to Friday 9.00 to 9.00 and on Saturday 9.30. to 1.00. The National Debtline telephone number is 0808 808 4000 and the website is www.nationaldebtline.co.uk. CAPUK offers a free debt advice and management service to anyone living in Midlothian who is struggling with debts. An initial home visit appointment is usually available within 2 weeks. For further information or to request an appointment telephone 0800 328 0006 (Free from landlines). If someone is being threatened and feels they are in danger from a "Loan Shark" or illegal money lender, they can get free confidential advice from the Scottish Illegal Money Lending Unit, who have access to a wide range of services that can offer protection to individuals who are being threatened and also help them access local services including debt advice, income maximisation and addiction counselling. The Scottish Illegal Money Lending Unit can be contacted Tel: 0800 074 0878 which is free to call from landlines. They are able to accept anonymous reports and can provide advice and arrange protection for individuals who feel at risk from Loan Sharks. If someone is without access to funds to feed themselves or their family and they do not meet the criteria for a crisis grant from the Scottish Welfare Fund they should be able to get a food parcel, but they will need a referral. The Foodstore @ North Penicuik Kirk currently provide food parcels to families with children in need who are referred by the Midlothian Council Children and Families Team. Food parcels contain both perishable and non-perishable food items and are normally collected by the Children and Families team to deliver to families on a Friday. The Foodstore currently provide food for up to 250 meals each week to children and families in need in the Greater Penicuik area. At the moment the Foodstore is only taking referrals from Children and Families staff for families who are known to their service or who are in exceptional circumstances. (To enquire about referrals Email: Lorraine.chapman@midlothian.gov.uk. Or Tel: 01968 664 100.) Other enquires Email: ruth.halley@gmail.com. The Storehouse is a project run by the churches in Dalkeith providing food parcels for individuals or families in Dalkeith and surrounding areas who have been referred by the Children & Families team and also by Health Professionals. The Storehouse can deliver food parcels. Please Email: Heather.Ritchie@midlothian.gov.uk for more information. The changes brought about by welfare reform are predicted to have negative impacts on the health and well being of some people in Scotland which are closely linked to their loss of in-come which may result in increasing levels of poverty and disadvantage. If anyone is concerned that financial hardship is impacting on the health they can talk to their GP or other health practitioner if they have one (e.g. health visitor, District nurse, CPN) about their health concerns. The March Project has a small budget within a Facilitation Fund to assist people to travel to access resources for hardship across Midlothian. If some-one hasn’t got money for bus fares and needs to attend an advice drop-in or appointment or needs to collect a food parcel, contact the MARCH project Hardship coordinator to find out how to get bus fares or other transport costs paid through our facilitation fund. It may be possible to collect a Lothian buses ticket or day pass from a local agent or we may be able to refund other agencies who are able to provide bus fares to clients on our behalf. Living in West Dunbartonshire, a family applied for two years for easier access for their disabled daughter. Their daughter uses a wheelchair and her mother struggles to get her daughter up the flights of steps and into the house. But she could hardly have bargained for the bizarre solution local housing officials dreamed up. It is like a bad joke. If this is the only that was open to West Dunbartonshire Council was to fit something into the garden – because of building regulations. Does West Dunbartonshire not have any disabled Persons housing ? 7. A key characteristic of the West Dunbartonshire housing stock is that there are many houses with too many stairs. There is a shortage of accessible housing, with growing pressure on more easily accessible ground floor accommodation. A ramp 60 meters long with 10 levels which winds from the front door to the pavement, installed by West Dunbartonshire council at the home in Duntocher, Clydebank so wheelchair user can access her home. The garden has been completely built over and now the young girl has lost her garden to play in. It is estimated that the cost to West Dunbartonshire council is around the £40,000. The family’s problems have been further compounded by youths now using it as a skateboard run. Council officials have refused to install a gate, citing health and safety concerns. Maybe they can use in the commonwealth games 2014 as a practice area for some of the downhill events.